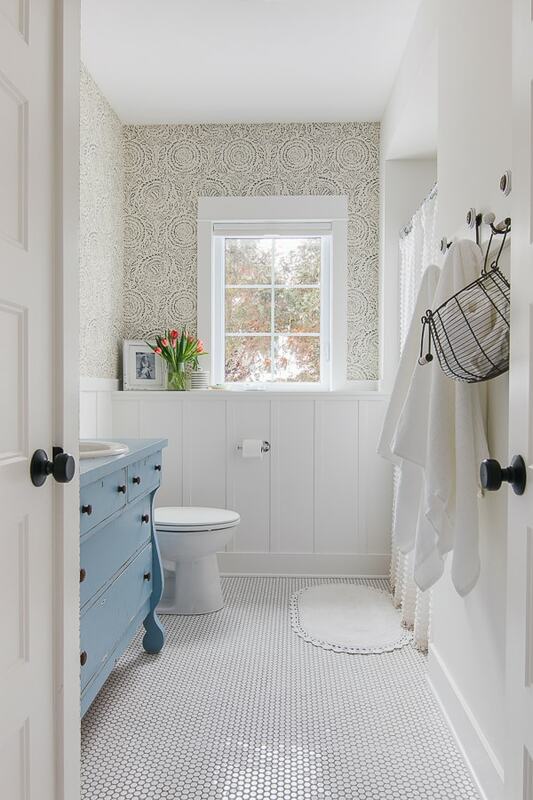 I love everything about that bathroom! Thanks for some really great close up pix. I would love to see how the plumbing is done inside the dresser. Beautiful bath! Hi Debbie, My cabinet maker divided the drawers so they still work but the middle is cut out to accommodate the plumbing. Thanks! 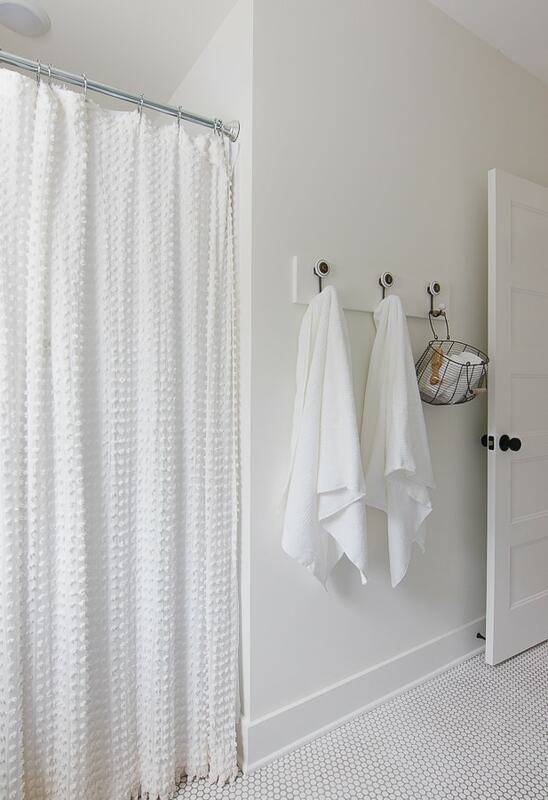 There’s nothing like a new, fresh set of towels! I love the photo with one wrapped around her head. I also love those striped bath accessories. 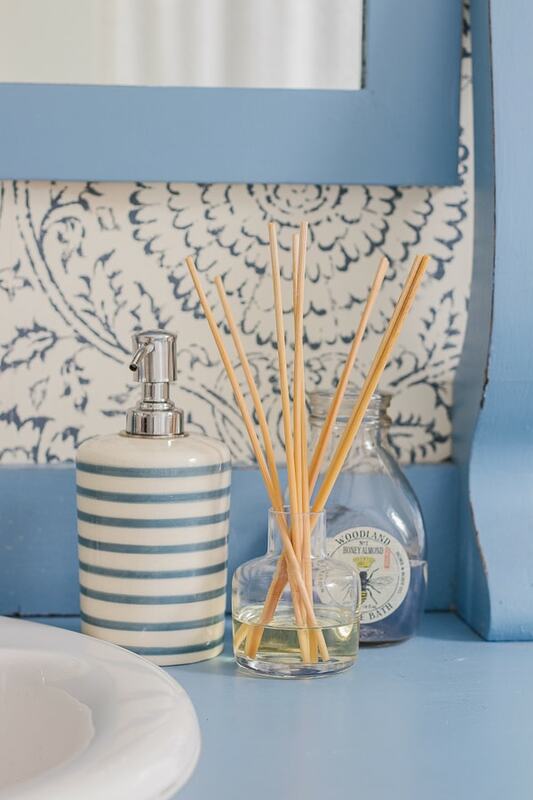 So perfect for the beautiful bathroom! 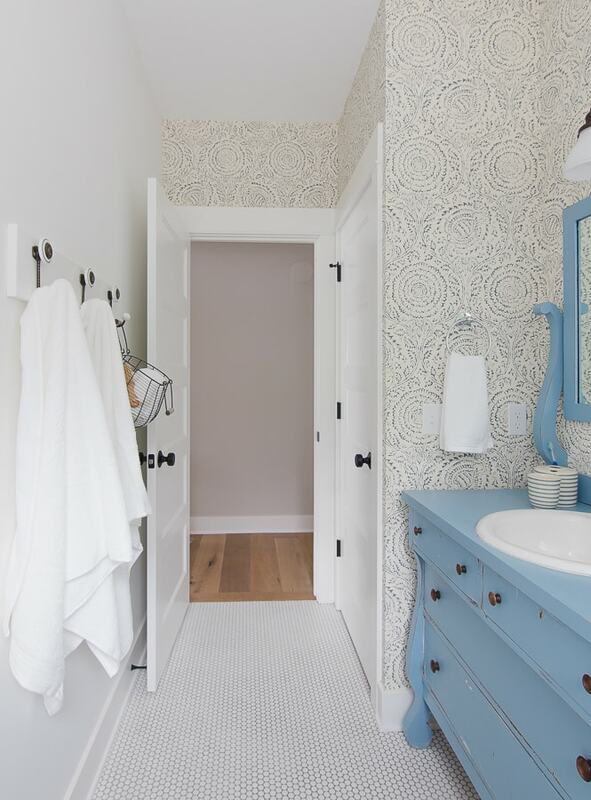 Where is that sweet little bath mat from? I looked in your last post as well as the Company Store. They have fabulous things but I did not see it. Love the shower curtain too. Hey, Kelly, I think that was just a lucky Home Goods find a few years ago. At the very bottom of the post, I linked the original bathroom post which should list all the sources – thanks! 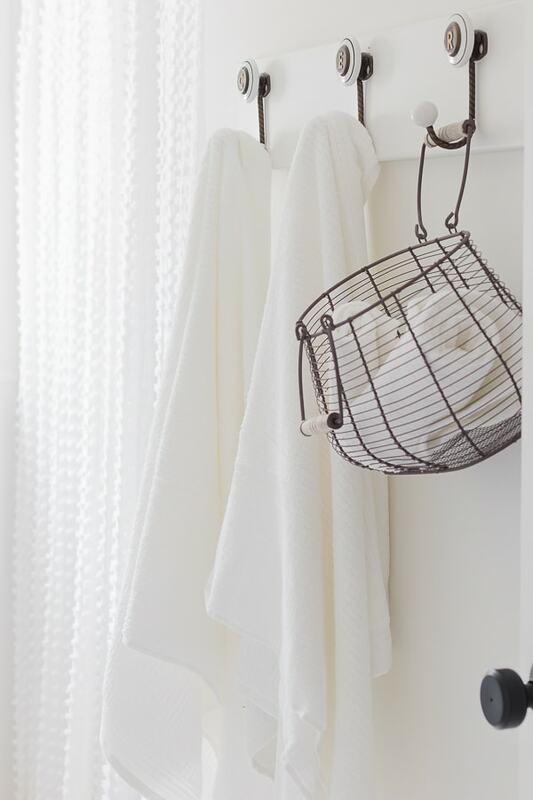 I really love these towels, fluffy and lightweight! Her wallpaper is my favorite thing I wish it was in my bathroom too! Love the pics!! 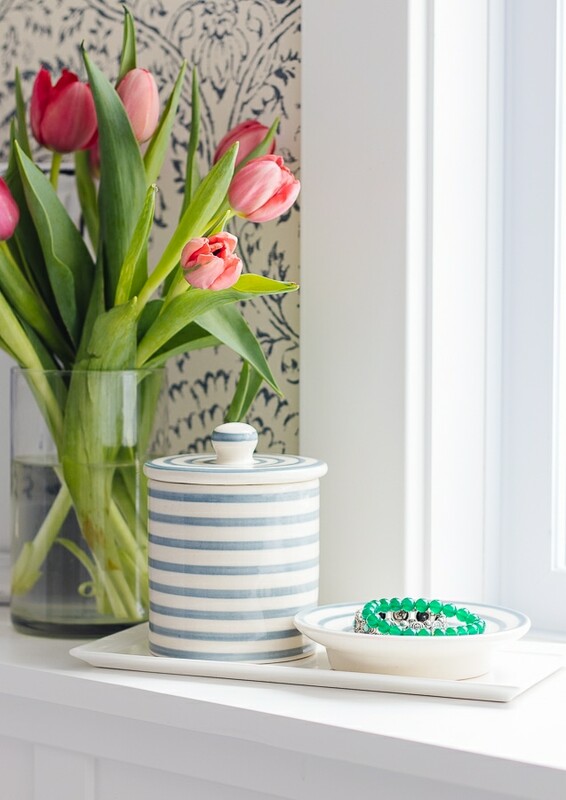 I think those striped accessories just might be showing up in my master bath! They are perfect!! They are so cute! The jar is perfect to hold makeup brushes too! 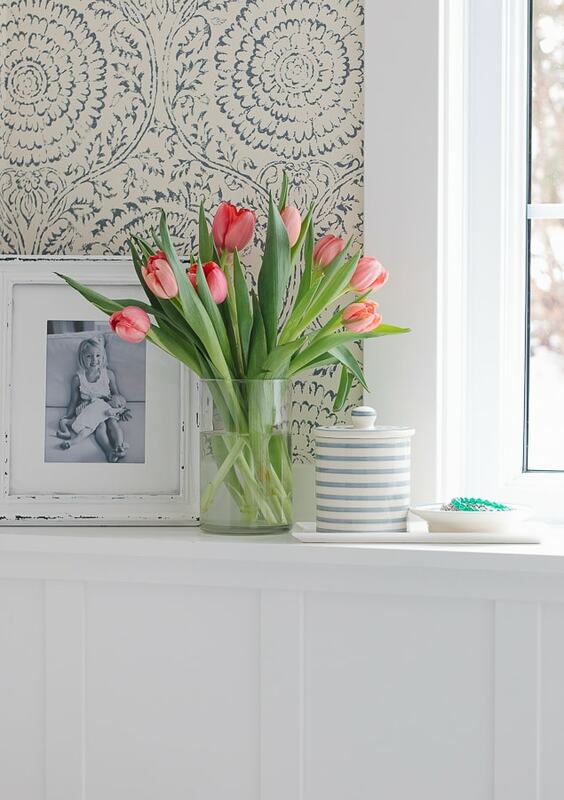 I love the wallpaper, my daughter is getting her own bathroom in a few weeks and we’re looking at wallpaper, do you have any issues with steam or moisture effecting it. My mister doesn’t want us to use it but we both love what we picked. Can you help with the great debate. 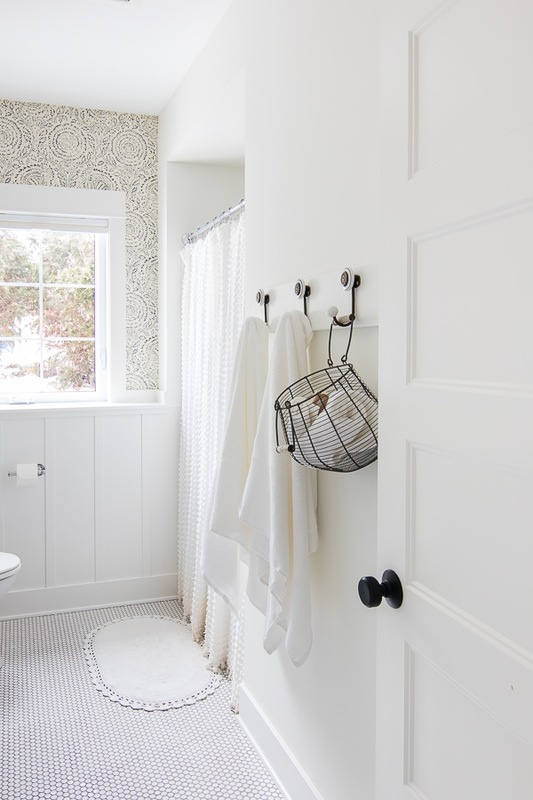 She needs a few reminders but they definitely use the hooks more than they would towel bars. It’s so much easier! This is a gorgeous room. I love the wallpaper. I’m so glad it’s back in style. Me too, it’s so fun! 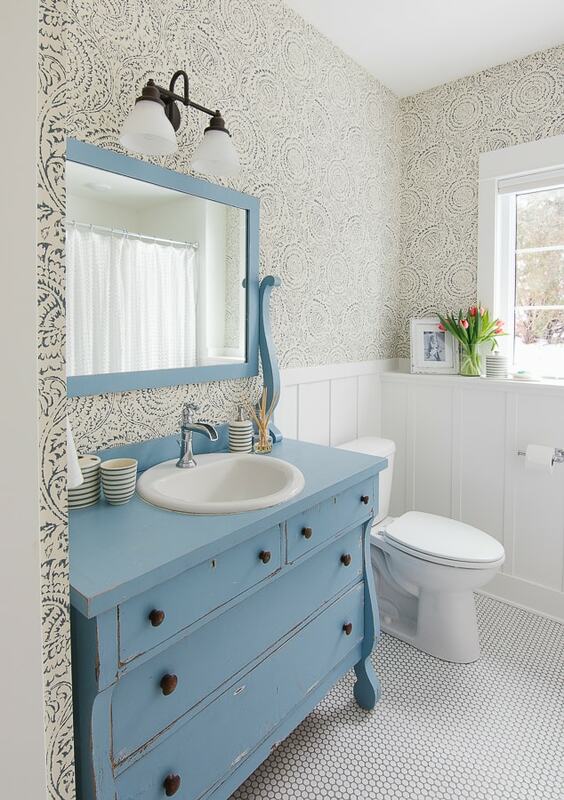 I love this bathroom and that wallpaper! That’s the 2nd time today I’ve seen it … must be a sign I should get some! Anthropologie, if you scroll to the bottom of this post I link to the original blog post where I list all the sources for this room – thanks! 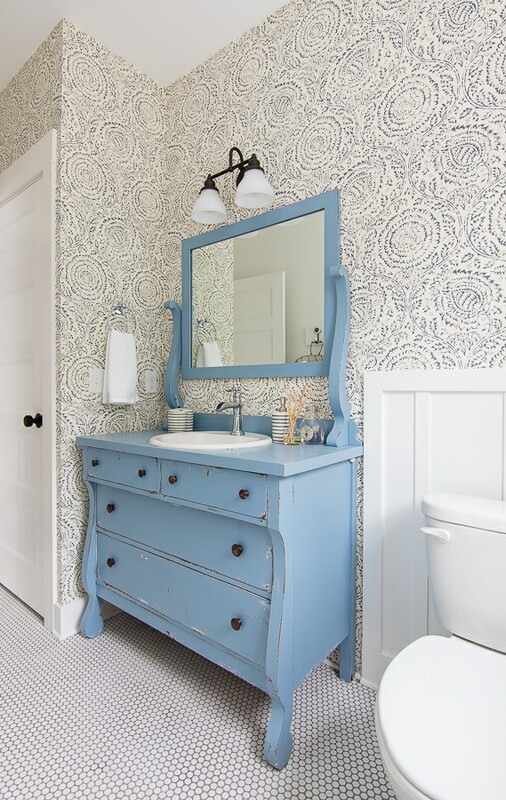 Love the wallpaper in blue and white bathroom. Where was it purchased? 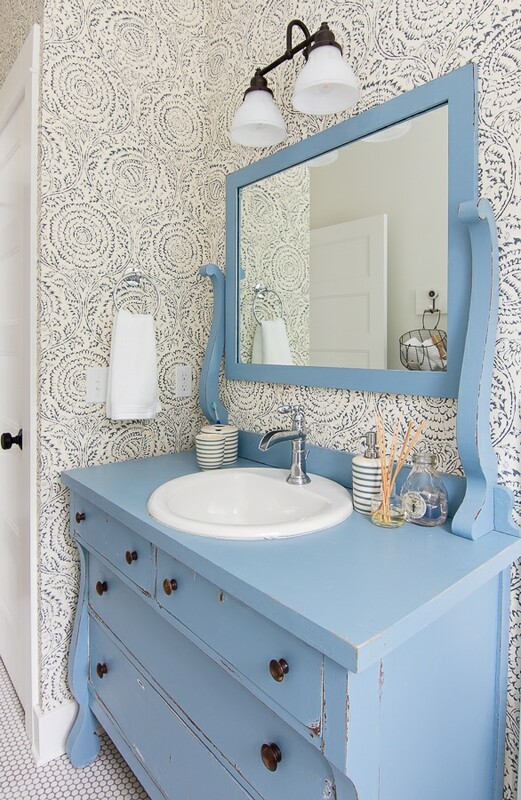 Hey Dee if you scroll to the bottom of this post I link to the original post where I share all the details and sources :) The wallpaper is from anthropologie thanks!